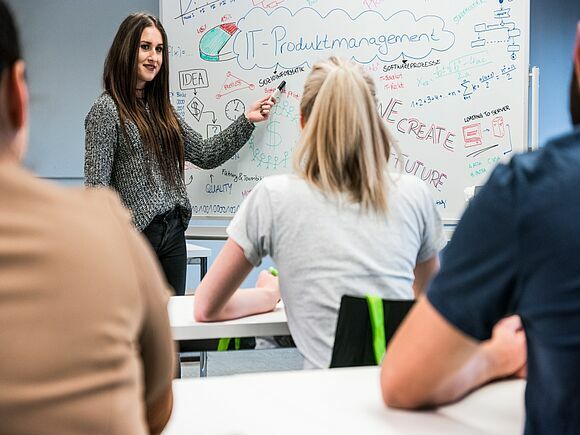 The 4P Lab gives students a creative workplace with modern equipment where they can investigate the interactions between the factors of man, product, process and projects in the IT market: IT product within a social context. The role of "man" in software development, the development of an IT product, the design of the software processes and the execution of development projects are analyzed and appropriate optimization measures are taken. The Lab offers new ways to examine interactions leading to the economic implementation of product ideas within the framework of projects.